In a frankly startling age of on-the-fly video calling and animated emoji that mimic your facial movements, it can be humbling to remember that not so long ago, handheld game systems were part of a brave new world of technological advancement, and just before that, a mere twinkle in the eye of an eccentric scientist somewhere in Nintendo’s tech labs. 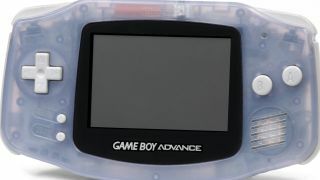 Wild as it might seem, the most modern member of that original lineage is still the Gameboy Advance, and whether we’re clinging onto them out of pure unabashed nostalgia, there are those of you reading this who somehow missed the dawn of the DS or newcomer the Nintendo Switch, or you’re looking to get hold of one for the sheer retro appeal (you may be too young for this article), a lot of us are still drawn in by the device’s charms. The problem is, how do you get the best out of them, and how does the humble Gameboy compete in this world of easy-to-find emulators and ROMs? Well, it all starts with the best games, of course. As such, our top ten list is heavily weighted towards classic games given a tweak for the new handheld format. That said, there are a few original Advance games in the mix which are standout examples either or their genre or of the possibilities of the format. Whatever you’re after, whether it be a thrill-a-minute action side-scroller or a quest-heavy RPG to lose yourself in, we’ve picked the very best from across the web to give you hours of enjoyment. Honey, I shrunk the hero! See Hyrule in a whole new way with this fun-sized game. As far from the most famous title in the Zelda series, Legend of Zelda: The Minish Cap shares a disproportionate amount of devoted players, and its huge status as a cult favourite makes it our top pick. Taking the classic top-down view of the previous games, this one allows you explore Hyrule both as a normal-sized sprite and, through the use of strategically placed portals, as a Minish-sized Link exploring a suddenly gigantic world. If you simply follow the main quest and proceed through the elemental dungeons without getting distracted, you won’t get the hours upon hours of play we’re used to from our games nowadays, but with extra puzzles and side quests it’s very fulfilling. Taking the very best parts of 1994’s Super Metroid for SNES and bringing them to the Gameboy Advance, Metroid Fusion takes the legendary side scroller and adds a brilliant new storyline featuring extraterrestrial parasites, a wrecked research lab and a computerised commanding officer. Players of Super Metroid will find themselves in familiar territory apart from a few missing signature moves right at the beginning, and it’s sadly quite a short start-to-finish play, but what little time you might spend smashing out your mission you’re sure to enjoy, as Fusion is consistently ranked among the best action games for Gameboy Advance. Whether your formative experiences with Mario Kart were born on the SNES, the Nintendo 64, or even the Wii, there’s not a gamer alive who doesn’t have a soft spot for this classic racing game, and Super Circuit brings all that fun to a handheld console. While it might take some getting used on a handheld console, even SNES devotees will be in the swing in no time, and with each element fast-paced, easy to learn and quick to complete, it’s an ideal first game for Advance newbies, or basically anyone, to get you used to controls and keep you coming back in an attempt to best yourself. What’s the best handheld Pokémon game? Ruby/Sapphire, we choose yoooou! Cute critters beating the living daylights out of each other for glory, coin, and sweet, sweet experience points? Clearly it’s a winning formula, because the Pokémon franchise has gone from strength to strength since 1997’s original appearance on Game Boy Color, with Ruby/Sapphire bringing that handheld awesomeness to the Advance. The gist is the same: you can fight rival trainers (and random weirdos), collect new species, and explore the world just as you would in previous versions, but this incarnation brings some added value to the format with the occasional minigame, tag team-style battles, best-in-show contests, and even a secret fort! Castles, catacombs, soul absorption… what’s not to love? This third title in the Castlevania series for Game Boy Advance is widely considered the best thanks to both its design and its gameplay, and while it doesn’t make many attempts to divorce itself from its previous successes, except for a rarely alluded-to futuristic setting, such attempts aren’t really needed for anyone who enjoys wielding deadly-looking medieval weaponry in pursuit of an undead nemesis. In fact, reviewers loved that it strikes a balance between the challenges faced by its predecessors: it’s not too easy, it’s not impossible, and the variety of weapons plus a new ability to absorb some enemies’ abilities in defeat keep things interesting. Play with suits for the first time! Nintendo’s big ticket series has officially stood the test of time, as the release of Super Mario Odyssey in 2017 attests, and unlike many long-running series, it’s yet to have a dip. This 2003 edition of Super Mario is pretty much the same as its predecessors in terms of functionality, with the name of the game still being to side scroll your way to safety from beginning to end of each perilous level, but with a much bigger world and more bonuses than ever. One such bonus is the introduction of suits, including the infamous tanuki suit, that can bump up your little plumber’s power in combat with Koopa and Goomba alike, adding some timely variety to the gameplay, and leveling the playing field a little while staying challenging enough to be enjoyable. In a rare appearance for military strategy simulators in the handheld market, Advance Wars burst onto the scene in 2001 with a game that remains impressive in scale, completely addictive, and widely beloved almost two decades later. There are lots of reasons why: the comprehensive field training that opens up loads more modes, the masses of maps and missions, and the fact that you can pit four players against each other with just one cartridge among them. If you’ve recently come into an Advance from a PC-gaming past or have a thing for turn-based sims like Civilization or Age of Empires, give this a try. For pure nostalgia, there’s very little that hits the spot like Final Fantasy, but even though it’s been an unutterably long time since FF6 first appeared for SNES (seriously, we can’t do the maths, it’s too depressing), it still stands up to scrutiny. The look of the game, its high concept storyline, the enormously playable world and cast of characters keep winning back fans, and although some have commented that the amazing soundtrack has suffered a little in the switchover to a new handheld console, we have a hard time believing it’s lost any of its emotive power. Not sure what you’re looking for in a game? It’s pretty safe to say that this one has it. If your childhood plan to grow up to be Rodney Mullen never quite materialised, don’t worry — not only did it not work for us either, but you can now live vicariously through your favourite skaters in the world’s first 3D skating game for handheld. Despite the fact that it came out 18 years ago and many instalments have since followed, Tony Hawk’s Pro Skater 2 is still widely considered to be the best, building on the original with some judicious gameplay tweaks, endlessly playable levels, and the sweet Create a Park function, culminating in a game that IGN called “a masterpiece of level design”.